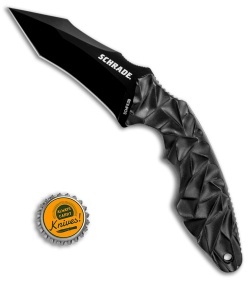 The Schrade SCHF63B fixed blade knife features a unique full-tang build with a versatile shape that allows for a wide variety of grips. Its recurve tanto blade is made from AUS-8 stainless steel with a black finish and a plain cutting edge. 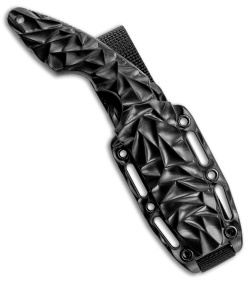 The rippled TPE overmold handle offers a lightweight design that is both comfortable and secure in-hand. Includes a MOLLE compatible GFN sheath for convenient carry.